The end result, as fellow editor Andrew Reiner expressed in his review, is that this outing with the webslinger is a success. Already being hailed by many not just as the best Spider-Man game but one of the best superhero games ever made, Insomniac has successfully created an enthralling experience that stands apart from Rocksteady’s masterpieces by swinging down different roads when it comes to storytelling. I spent the past weekend eagerly marathoning Spider-Man from start to finish, stopping only to force myself to eat or sleep when I had to. I was simply blown away by how well-crafted the game is, from its acrobatic combat and whip-fast traversal to its engrossing story and progression system. With all that in mind, I wanted to take some time this week to write about what I think Spider-Man does best: devoting copious amounts of its real estate to quiet narrative moments that allow characters to transcend simple characterization and instead become complicated people we care about. This column is a bit of a deep-dive into spoilertown. If you haven’t finished the main storyline for Spider-Man, turn back now, and return later. For those of you still here: let’s get to it and talk about why this game is so dang smart. Okay, look. I know you came here for Spider-Man, but I really need to go back to Batman for a minute. And it’s not without reason. Arkham is the standard for how to craft a video game around the concept of being a superhero, not just giving the player fun abilities to work with, but also creating a story that mines the lore of the character and their world for all its worth. Arkham works because it focuses on what makes Batman work in all mediums, which is a compelling, larger-than-life loop of tragedy. At their center, Batman, his foes, and his compatriots aren’t hard to understand. Batman fights crime as a way of dealing with the trauma of his parents’ death. The Joker is fascinated with Batman because he seems to him that he is just as deeply depraved, but with a streak of self-righteousness; a grumpy playmate. The Penguin hates the Waynes because of family feud stuff. So on, so forth. These are givens and just because the characters' roots are simplistic doesn’t mean that their arcs are unenjoyable or incapable of nuance, especially when such rich tragedy emerges from these relatively simple setups. Batman will always be fighting crime and is in some way responsible for the creation of some of his most dangerous villians. By fighting trauma, he only creates more trauma for both Gotham and himself. Despite their decades-long conflict, ending with hundreds of people dead, Bats and Joker’s relationship has something deeper than friendship at the heart of it. So much of Arkham is about testing the idea that Batman and The Joker can’t exist without one another, a relatively simple premise, and pursuing it to the most convoluted and emotionally profound ends. All the story beats in Rocksteady’s series are heavy. Long-time favorite characters die in drawn-out cutscenes following explosions and flying fists. At best case, people kind of come to terms with their psychological scars and slink away into the night, having to figure out how what do with their lives now. 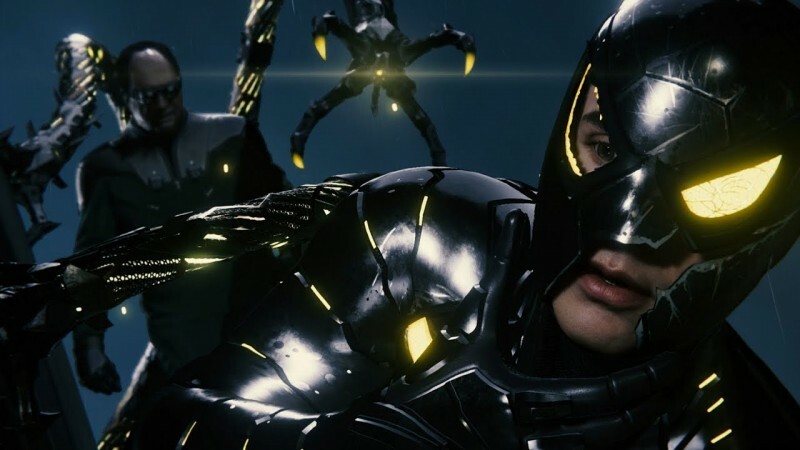 Insomniac’s Spider-Man is not these things. Ok. It’s some of those things. Fine. There’s a lot of punching and more than a few explosions, and the question of whether or not Spider-Man is responsible for villains invading New York is more than just touched upon. However, more than anything else, Spider-Man slows down. A lot. While Arkham has confidence that we know Batman and the motives of both allies and enemies to proceed ahead without toiling around in conversations for too long, Spider-Man does the opposite. More than a handful of scenes, for example, are dedicated to Peter and Mary Jane talking. Sometimes they’re talking about unearthing the mystery that’s taking over the city, figuring out ways to foil Martin Li’s diabolical plans or take on The Sinister Six, but they also spend just as much time talking about the relationship problems between the two of them. And sometimes it’s silence doing the talking. At the start of Spider-Man, Peter and MJ have been on a half-year break. The story is smart, not revealing immediately why they broke up, but instead teasing the answer throughout the game. And as real-life relationships function, there isn’t just one easy answer. It’s a complicated bag of answers. Peter cares for MJ and doesn’t want to see her hurt, which leads to him criticizing her whenever she tries to get involved in dangerous situations. She doesn’t want to be babied. There’s also the fact that Harry Osborn, essentially both their best friend, has disappeared from their lives on some mysterious trip to Europe. Change is happening, and it’s unsettling, affecting both Peter and MJ in ways that the other has trouble understanding, but luckily they manage to navigate the awkwardness of life. 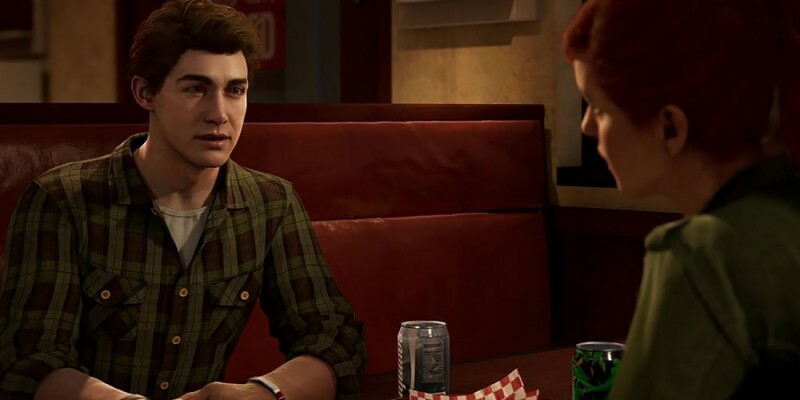 Whether it’s sharing fries at a restaurant, Peter cooking chicken curry for MJ, or the two throwing passive aggressive text messages at each other, the pair’s relationship feels like a real, unpredictable thing, which is rare in fiction (not just games). A lot of scenes in Spider-Man that are just dedicated to developing the relationship between these two and crafting a history not based on exposition but instead on awkward smiles, changes of subjects, and warm glances. Spider-Man doesn’t just tell us these two have a complicated relationship, it goes out of its way to show us how by making us inhabit that space. And a convincing sense of history isn’t the only thing that Spider-Man uses these quiet moments to create. It also uses them to craft a compelling future. In this version of the spideyverse, Peter finds himself working as the lab assistant to doctor Otto Octavius. If that name sounds familiar to you, yep, that’s doc Oc. And Insomniac spares no expense when it comes to telegraphing that Peter’s sweet father figure will rapidly shift into one of his most dangerous, hated villains by the end of the game. But that doesn’t matter. Not really. Throughout the game, we’re forced to spend time with Otto, helping him design prosthetic technology for veterans, coming to understand who he is. And who that person is, is very complicated. There’s no doubt in my mind that Otto wants to make the world a better place. However, as the brain-altering tech he’s developed takes over his mind, very ugly, very real parts of his personality come out to reveal less than savory motivations for wanting to make the world a better place. Namely, he wants to be better than everyone and to prove his intellectual superiority to the world. By the end of the game, he’s become a monster willing to sacrifice an entire city’s population just to destroy his rival, Norman Osborn. Peter’s heartbreak in the wake of this revelation is tragic on a number of levels. Not only has he helped create the monster that Octavious eventually becomes but Peter also genuinely saw Otto as a father figure. All those moments where we’re kicking it in the lab, listening to the good doctor talk about why he wants to change the world, is what makes Peter’s half-cry, half-whimper of I wanted to be you! after the final battle so crushing. Not to mention that it’s also hard to watch Otto lying there, brain scrambled, leaping between personalities at light speed. Begging Peter to help him and then lashing out at him the next moment. Somewhere, deep in that mess of personalities, is the real Otto, likely lost to bitterness and hate forever. The story of revenge consuming people and turning them into monsters isn’t new, of course. In fact, it’s a pretty old song and dance. 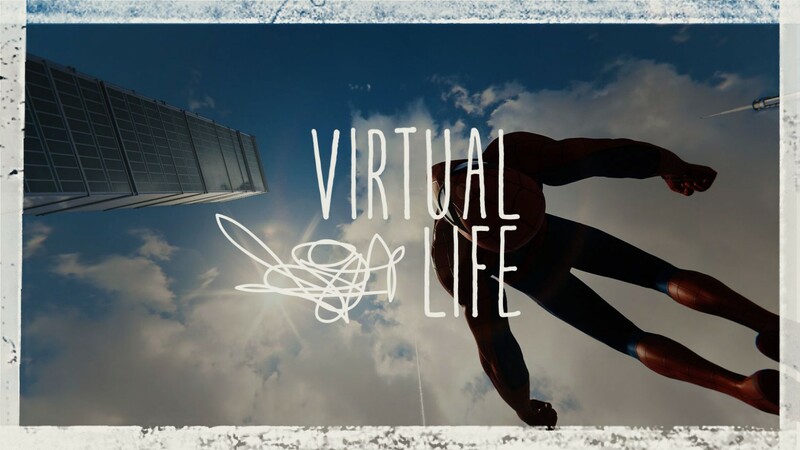 However, Spider-Man’s approach to seeding those moments through many realistic, subtle cutscenes makes it feel fresh and bold, with an immense payoff in regards to emotional beats and crafting complicated characters. Is Otto a monster? Sure. But is he charming? Yes, to a degree? Sympathetic? Absolutely. And that paradoxical yet all-too-real mix of adjectives for him works because Insomniac lays the groundwork. Oh, and let’s not forget Miles! How could we forget Miles? When we’re not swinging through East Harlem as Peter or sleuthing in villains’ hideouts as Mary Jane, we’re often playing as Miles Morales, who we will likely play as Spider-Man at some point in the future. Miles’ sequences are steeped in a very mundane kind of goodness that contrasts itself nicely to Peter’s superhuman deeds, creating a story of how Miles comes to earn the suit long before he ever wears one. We see him fetching medicine for sick people, pouring coffee for the homeless, and repairing TVs for them. In this way he grieves for his dead, honorable father, both honoring that man’s legacy while creating his own future as a protector and someone who fights for good. So often games get caught up in zipping the plot along as quickly as possible or trying to convince players of an engaging history between two characters by forcing them to read Wikipedia-esque journal entries or suffer through stiff dialogue. 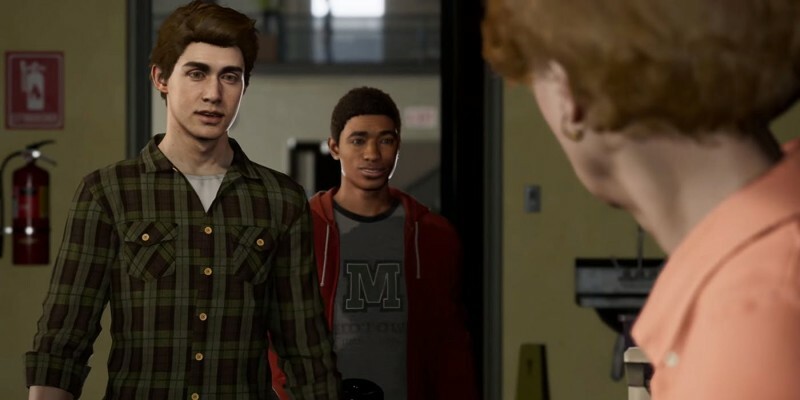 Spider-Man is a masterclass in how to create a fantastic story filled with people we can’t help but care about, and I hope developers look to its example in the future when it comes to telling stories, particularly those about servicing others and finding hope in unexpected places. For more on Spider-Man, be sure to check out our hub on the cover story we did on the game.